Mental Arithmetic provides rich and varied practice to develop pupils' essential maths skills at Key Stage 2. 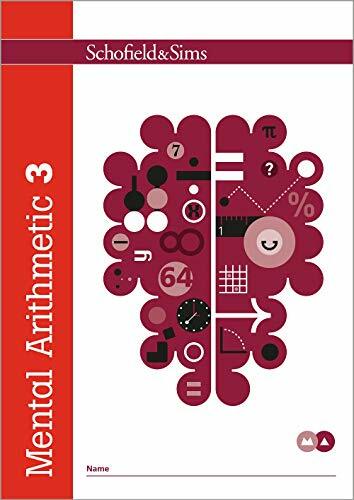 Questions in Mental Arithmetic 3 cover the key subject areas of number, measurement, geometry and statistics, including negative numbers, Roman numerals, decimals, equivalent fractions, digital and analogue clocks and classifying shapes. Mental Arithmetic provides rich and varied practice to develop pupils' essential maths skills and prepare them for all aspects of the Key Stage 2 national tests. It may also be used as preparation for the 11+, and with older students for consolidation and recovery. Tailored to meet the requirements of the National Curriculum for primary mathematics, each book contains 36 one-page tests designed to build confidence and fluency. Each test is presented in a unique three-part format comprising: questions where use of language is kept to a minimum; questions using number vocabulary; questions focusing on one- and two-step word problems. Structured according to ability rather than age, the series allows children to work at their own pace, building confidence and fluency. Two Entry Tests are available in the Mental Arithmetic Teacher's Guide and on the Schofield & Sims website, enabling teachers, parents and tutors to select the appropriate book for each child. All the books can be used flexibly for individual, paired, group or whole-class maths practice, as well as for homework and one-to-one intervention.Mental Arithmetic 3 is aimed at pupils in lower Key Stage 2 and covers the key subject areas of number, measurement, geometry and statistics, including negative numbers, Roman numerals, decimals, equivalent fractions, times tables, digital and analogue clocks, problem solving and classifying shapes. Three Progress Charts, together with four topic-based Check-up Tests, are provided to monitor learning and identify any gaps in understanding. A separate accompanying answer book, Mental Arithmetic Book 3 Answers (ISBN 9780721708072), contains correct answers to all the questions, making marking quick and easy.